We already have the winners of the 1st Akashi Gallery photo contest on Instagram! Saturday set lunch worth 52€!!! 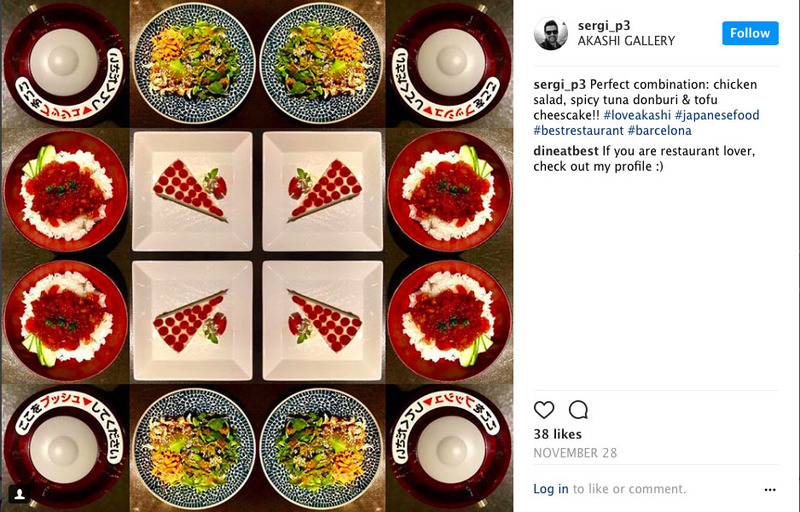 The prize goes to the user Sergi_p3 thanks to his original and creative picture with the photos of his favorite dishes along with our new soybean dispenser, indispensable element for the dishes of our menu!! Uramaki lunch set menu to choose from Akashi Gallery worth 12,90€!! 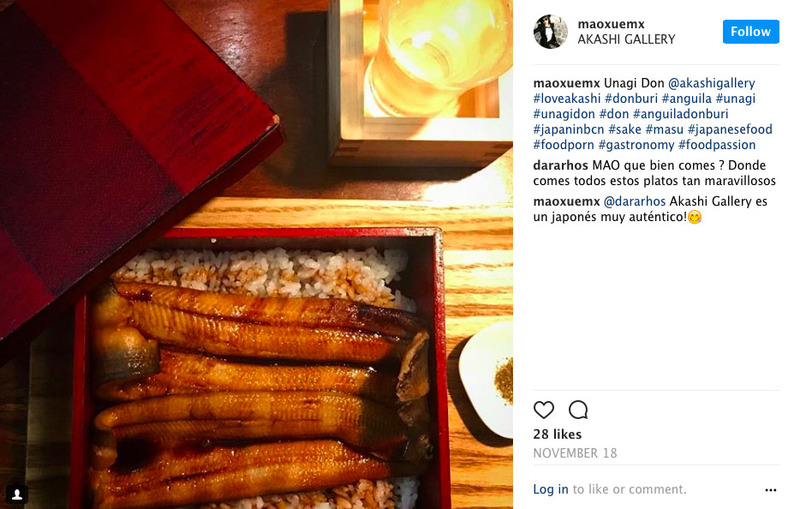 On this occasion, the prize is for the user maoxuemx, with a nice photo of unagi donburi and a glass of sake served in a cedar box!! Your favorite dessert !! 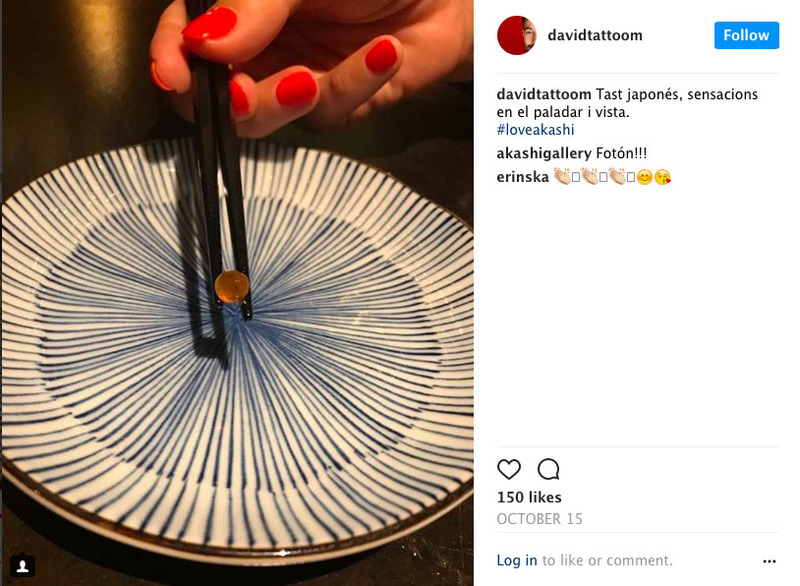 The third prize goes to the user Davidtattoom for his precious minimalist photograph of an ikura roe fastened with chopsticks (complicated task!) with one of our characteristic dishes in the background. Nails painted in red add an interesting sophisticated touch! Winners have up to 6 months to use their prize at Akashi Gallery (until June 10, 2018).